In April, Upswing Poker is undergoing a major update to make the website faster. However, part of the update requires us to shut down our original membership system. There are a few hundred of you loyal Upswing Poker Members who have been with us since the beginning and are still part of that original membership system. This membership system change will only affect you. The vast majority of Upswing Poker Lab members are already on our new membership system and will not be affected. If you had a monthly Upswing Poker Lab membership, your access will end at Midnight on Monday, April 9th unless you re-subscribe below. Semi-Annual and Annual memberships will not renew and will expire at the original scheduled renewal date unless you re-subscribe below. When you re-subscribe below it will be at your original grandfathered in price ($27/month, $199 for Semi Annual plans, and $299 for Annual Plans). After signing back up you will be given a $100 off coupon for an Advanced Poker Training course of your choosing. If you had any time remaining on your original monthly subscription when we shutdown the original membership system, you will be given a pro-rated refund going back to either April 9th or your re-signup date, whichever is earlier. If you have a semi-annual or annual membership and re-subscribe, you will be refunded back to your re-signup date after re-subscribing. We will be processing any applicable refunds over next first few weeks of after the switch over. Refunds, unfortunately, cannot be applied to your membership in the new system. Upswing Poker Members who are on the original membership system have the opportunity to continue their membership at their original grandfathered in price. 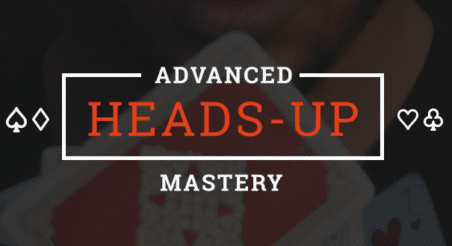 Plus, after signing back up, you will receive a coupon for $100 off any other Advanced Poker Training of your choice. AFTER SIGNING BACK UP - you will be given a coupon on the Thank You page, for $100 off any other Advanced Poker Training course!